Draw all three perpendicular bisectors. make sure to draw your perpendicular bisectors long enough that they all intersect. When three or more lines intersect at a single point, they are concurrent, and the point of intersection is called the point of concurrency. Here is why the point of concurrency is important with perpendicular bisectors. This point of concurrency is called the circumcenter. 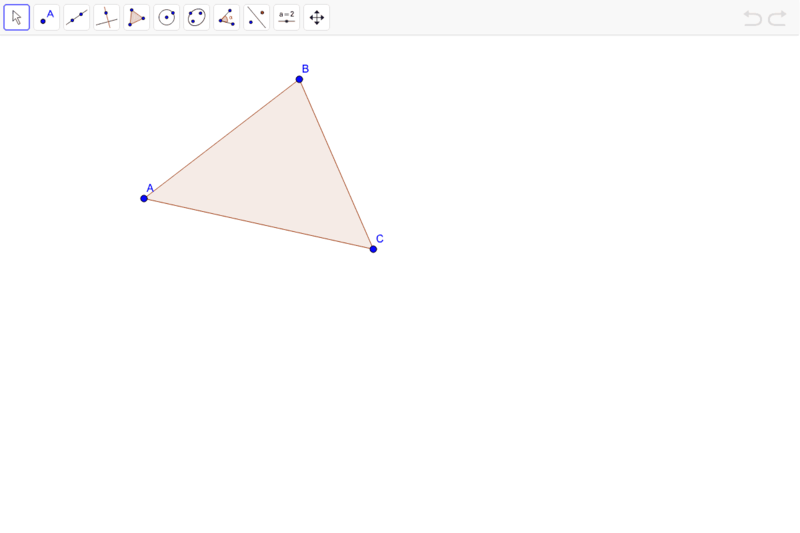 The circumcenter CAN be outside of the triangle. 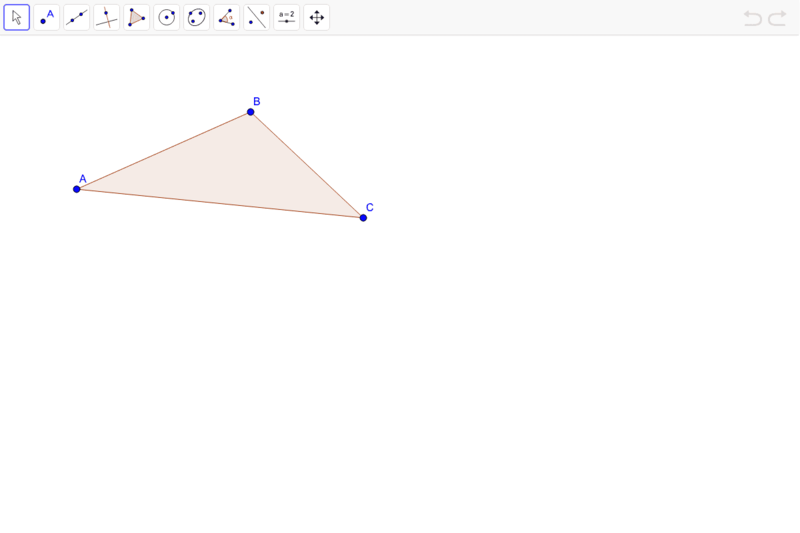 Construct all of the angle bisectors in the triangle below. The point of concurrency of the angle bisectors is called the incenter. 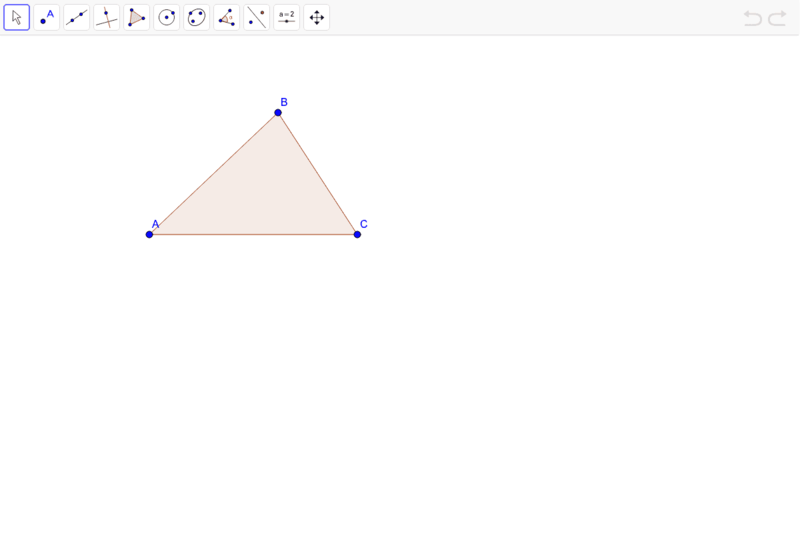 Construct all of the medians in the triangle below. The point of concurrency of all medians is called the centroid. 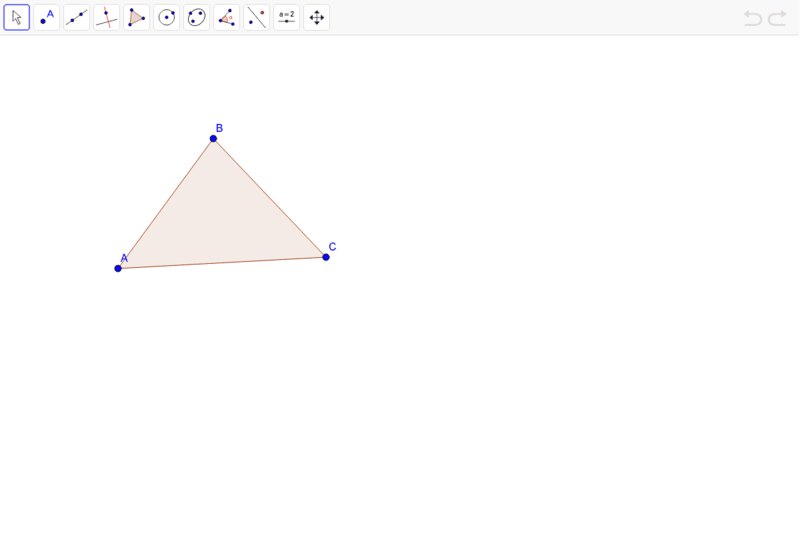 The centroid is the center of gravity for a triangle. Construct all of the altitudes in the triangle below. The point of concurrency of the altitudes is called the orthocenter.